As we recently reported on our Boston Car Accident Lawyers Blog, the National Highway Traffic Safety Administration (NHTSA) is working diligently to help curb driver distractions. The number of distraction-related car accidents is increasing significantly, and it’s employees who are driving on the job who are greatly affected by these risks and in danger of a traffic-related work accident in Massachusetts, too. As technology advances and the need to stay connected grows, more and more drivers are using communication devices when they should be driving. Drivers are urged to halt the distractions when operating a motor vehicle to help reduce the risks of a distraction-related traffic accident. According to the NHTSA’s statistics, there was a significant increase in the number of cell phone and other distraction-related traffic accidents from 2009 to 2010. Cell phones and text messaging devices are contributing to a good bulk of these accident numbers. Studies show that nearly 1,000,000 drivers are using a cell phone at the wheel in the United States at any given moment. Our Boston workers compensation attorneys understand that it’s important for workers and employers to stay connected on the job. There’s no reason to risk an injury or a fatal accident for this connection however. Phone calls and text messages should wait until the vehicle is safely stopped to help avoid an accident. To help reduce the risks of these types of traffic-related work accidents, the National Safety Council (NSC) is asking employers to implement a cell phone policy for all driving workers. By allowing driving employees around the country to use cell phone and text messaging devices at the wheel, employers are displaying an acceptance of significantly increased accident risks. The NSC offers employers a downloadable cell phone policy kit to help get the policy started. Creating a plan is simple; enforcing it lies in the hands of employers. -Build leadership and support for your company regarding a new or revamped cell phone policy. -Communicate the risks of distraction-related traffic accidents and the need for such a policy in the workplace. The downloadable kit also includes some sample policies that employers can use to implement a policy immediately. It also includes tips to get employees involved and tips for employers on how to manage such a policy. Plus, a number of communication tactics, including posters, talking points and voice mail greetings for employers to use to help employees to better understand the policy. Employers are urged to adopt a cell phone policy kit in the workplace. 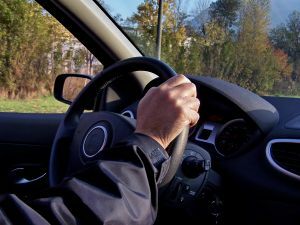 Driving employees are at extreme risks for a motor vehicle accident when they’re busy taking phone calls and organizing work projects at the wheel. Employees are reminded to place their focus on the task at hand — driving — when behind the wheel. Contact the Law Offices of Jeffrey S. Glassman, LLC if you or a loved one has been injured in a Massachusetts work-related traffic accident. Accident victims should call 1-877-617-5333 for a free consultation and sound advice about your rights from an experienced workers’ compensation attorney.